Samsung UN65NU8000 vs UN65MU9000 Review : How is The Comparison Between The Two? You may be considering Samsung UN65NU8000 and UN65MU9000 if you are looking for 65-Inch Samsung Premium 4K UHD TV. 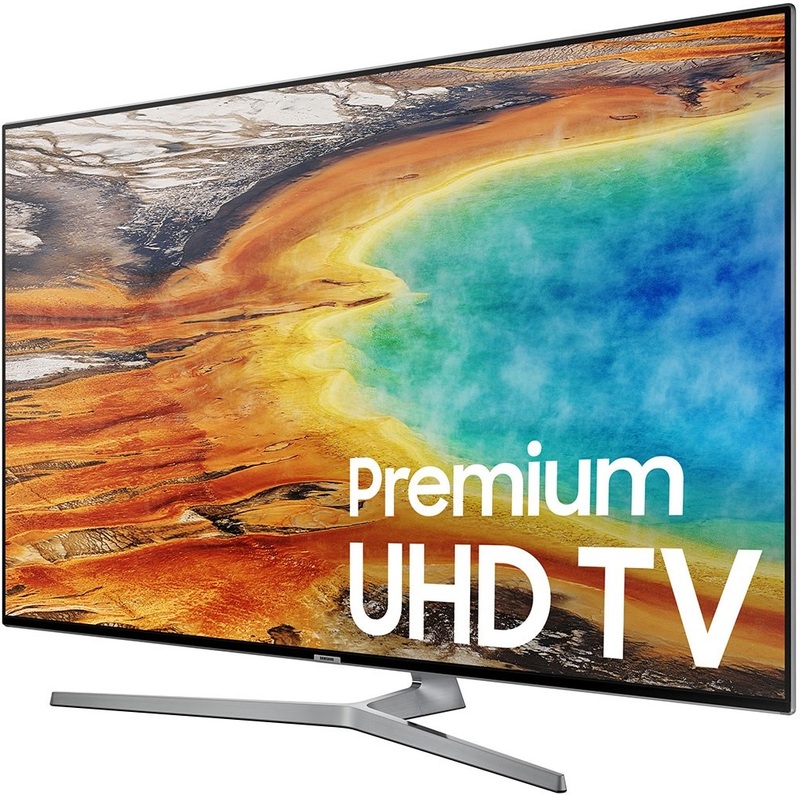 We can find that Samsung UN65NU8000 is a member of Samsung’s 2018 Premium UHD TV series, while Samsung UN65MU9000 was released as part of Samsung’s 2017 Premium UHD TV series. Which of them is the one that we should choose? To answer that question, we need to know more about comparison between those two TVs. Let’s talk about comparison of Samsung UN65NU8000 and UN55MU9000 in this article. What Should You Know about Samsung UN65NU8000? What Should You Know about Samsung UN65MU9000? It’s important for us to look at the specs and features of Samsung UN65NU8000 and UN65MU9000 before we can talk more about their comparison. The key specs and features of Samsung UN65NU8000 and UN65MU9000 can be found in the table below. From the specs and features table above, we can talk more about comparison of Samsung UN65NU8000 and UN65MU9000. How’s the comparison between the two? Let’s talk about that together. Both of Samsung UN65NU8000 and UN65MU9000 come with 4K UHD Resolution in Flat LED screen panel. The flat panel of Samsung UN65NU8000 and UN65MU9000 are completed with Contrast Enhancer as their depth enhancing technology. With Contrast Enhancer, we can enjoy greater sense of depth across the LED screen. They both are also completed with Supreme UHD Dimming that combined with UHD Upscaling technology. Supreme UHD Dimming is able to deliver better contrast vibrancy on those two TV screen. Supreme UHD Dimming is also completed with UHD Upscaling that can deliver excellent clarity from upscaled non 4K content sources. We can find that the color technology of Samsung UN65NU8000 and UN65MU9000 are different. Samsung UN65NU8000 comes with Dynamic Crystal Color, while Samsung UN65MU9000 comes with 4K Color Drive Extreme. While they are relatively similar color technology, Samsung UN65NU8000 is able to deliver slightly better color result than Samsung UN65MU9000. When we look at their black technology, we can find that Samsung UN65MU9000 is slightly better with its Triple Black Extreme. 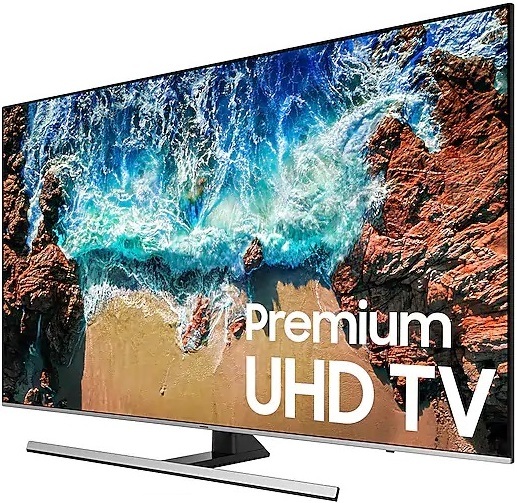 While we can enjoy enhanced details and expanded contrast from HDR10 and HLG content sources from those two TVs, Samsung UN65NU8000 supports HDR10+ that add dynamic metadata on the HDR signal for smoother gradients and more immersive details. We can find that Motion Rate 240 is installed on both of Samsung UN65NU8000 and UN65MU9000 as their refresh rate technology. Motion Rate 240 is able to deliver fluid motion images from your favorite action movies and sports. It also can deliver smooth gaming scenes when you use those two TVs as your gaming monitor. The Smart TV Platform and Remote Control of Samsung UN65NU8000 and UN65MU9000 are basically similar. They both come with Smart Hub as their Smart TV Platform and Samsung OneRemote as their remote control. But when we look fither, we can find that they are actually different in version. Samsung UN65NU8000 comes with 2018 version of Smart Hub and OneRemote (TM1850A), while Samsung UN65MU9000 comes with 2017 version of Smart Hub and OneRemote (TM1750A). 2018 version of Smart Hub comes with improvements from 2017 version of Smart Hub. One of the key improvement is the Bixby Voice. With Bixby Voice installed on it, we can have more voice control option for Samsung UN65NU8000. TM1850A remote also comes with improvements from TM1750 remote. 802.11ac wireless is attached to those two TVs to provides fast internet connection to our favorite content providers. The speaker system of Samsung UN65NU8000 and UN65MU9000 are relatively similar. They both come with 2.1Ch 40W speaker system that completed with Dolby. It can deliver good sound quality for those two 65-Inch 4K LED TVs. If you are still not satisfied with the sound delivered by 2.1Ch 40W speaker system, then you can easily attach your favorite soundbar to those two TVs. Samsung UN65NU8000 is actually positioned lower than Samsung UN65MU9000 since it’s the model that succeeded Samsung UN65MU8000. So we can easily guess that Samsung UN65NU8000 is usually offered at the lower price than Samsung UN65MU9000. How much is their price difference? 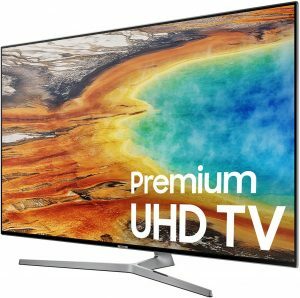 Since TV prices are changing from time to time, it’s recommended that we check the price of Samsung UN65NU8000 and UN65MU9000 to find their latest price difference. What’s The Reason to Choose Samsung UN65NU8000?